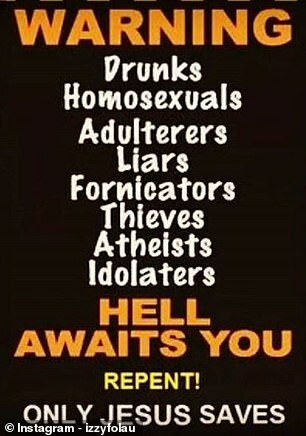 The 30-year-old full-back, who is Australia’s best-paid rugby player, posted on Instagram last week to say that ‘hell awaits’ for ‘drunks, homosexuals, adulterers, liars, fornicators, thieves, atheists, idolators’. Rugby chiefs have have joined an online and liberal media lynchmob to accuse him of homophobic comments and say that they ‘warrant termination of his employment contract’, which is believed to be worth around £1.1million a year. 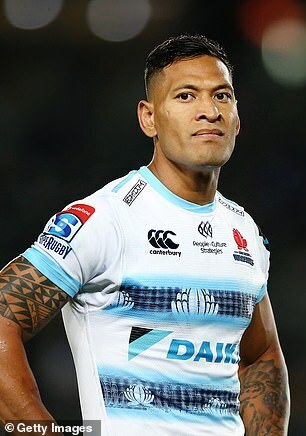 But Folau has refused to back down, saying it is up to God whether he would carry on playing and insisting he would rather face the end of his career than retract his comments. The affair is just another example of the rapidly growing problem of totalitarian liberal persecution of Bible-true Christians. From rugby stars being sacked to small businessmen being deplatformed online, those holding traditionalist views are already being denied the right to earn a living.